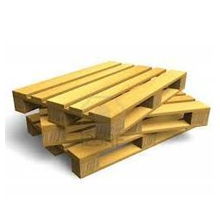 Heavy Wooden Pallets for Warehousing is the most economical solution available in market. All our wooden pallets are designed for heavy duty storage in warehouses. Widely used in warehouses of industries and logistic companies, these are available in different sizes. For complete assurance of quality, we duly test these pallets for their load bearing strength and ability to sustain in adverse weather conditions.